Viggoslots Casino will then reward you with a bonus (Welcome Bonus is for new players only). The terms and conditions of the bonuses vary between different casinos and might also change over time and between different countries, so it is important to compare the different offers and read the T&C for Viggoslots Casino before signing up. 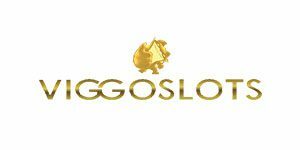 Operated by Gammix STS B.V and launched in 2017 under Curacao license, Viggoslots casino is created and designed with the primary goal of offering modern and fun platform, featuring a plethora of bonuses for both existing and newly registered members. First-time depositors are eligible for 100% deposit match on initial three entries, bundled up with Free Spins while those who feel that Viggaslots Casino is good enough to be recommended can join the casino’s affiliate program and earn up to 40% commission. Special attention is paid to active casino members, who will be offered a chance of becoming VIP account holders with a personal manager and separate set of bonuses and VIP events, reserved for the casino’s most prized position – loyal clientele. Casino and New Games are the two categories with the majority of Viggoslots gaming offer. Having in mind the casino’s extensive gaming offer, providing advanced filters would be logical, but sadly this is not an option. Those who do not feel like browsing through the entire assortment can check under Viggos Favourites and see what the casino recommends. This is also the point where a player will feel the frustration of not having advanced filtering options. If you feel like playing Blackjack, Roulette, Poker or Baccarat, you will need to find it using the search bar or by checking under the Viggoslots “hand-picked” games, since this category includes a mixture of different game types and themes. The same search option is used to find the games that other casinos usually sort under “Other” tab; Keno, Bingo, and Scratchcards are all available, you will just have to find them. NetEnt and Evolution power the Live Dealer section and needless to say that the offer is quite rich. Multiple Baccarat, Roulette, Blackjack, Poker. And Dragon Tiger tables, with additional details about the limits and the dealer available at the game preview image. Viggoslots accepts Trustly, Neteller, Skrill, Visa, MasterCard, Zimpler, WebMoney, TrustPay, GiroPay, Qiwi, Poli, MB, DotPay, and Sofort. The cards and e-wallets can also be used for withdrawals and the processing time is usually instant (after the withdrawal request is processed and approved), although it can take up to 48 hours for Visa and MasterCard users. The processing time for bank transfer will depend on the user’s bank. The minimum amount that can be requested is €30 and the maximum is €2,000 a day or €5,000 a month.